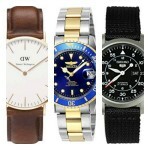 Hey everyone, today we’re going to be taking a look at some of the most popular best selling white watches for men. There’s a good mix of white sports watches and summery pieces so I’m hoping there’s something here to everyone’s liking. I’ve also put the effort in to include something for all budgets. So if you’re after a super cheap white watch then check out number 7. But if you’re after something a bit more luxurious you should take a look at the number 9 watch from Mondaine which is a Swiss made white watch. I hope you enjoy today’s list. As always if you have any questions just comment below and I’ll try and get back to you as soon as I can. Firs up in our list of the best white watches for men is this popular affordable Casio chronograph watch. 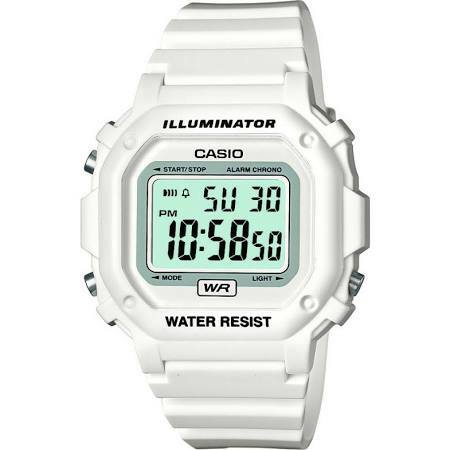 It’s a white digital watch with a durable plastic resin protecting the casing. Just like most digital Casio watches it features a selection of useful functions. These include a date display, 12/24 hour display, illuminator backlight, chronograph, and a daily alarm. The watch fastens with a white rubber strap and has a 30m water resistance rating. Overall, a nice affordable white sports watch. 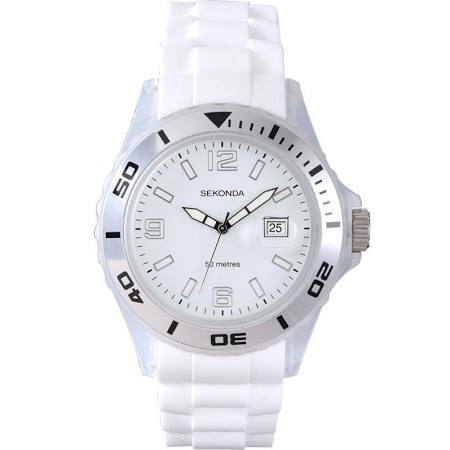 This next mens white watch is from Sekonda. It’s an affordable unisex watch that’s powered by a reliable and accurate quartz movement. The watch featues a useful 50m water resistance rating as well as a small date display on the dial. 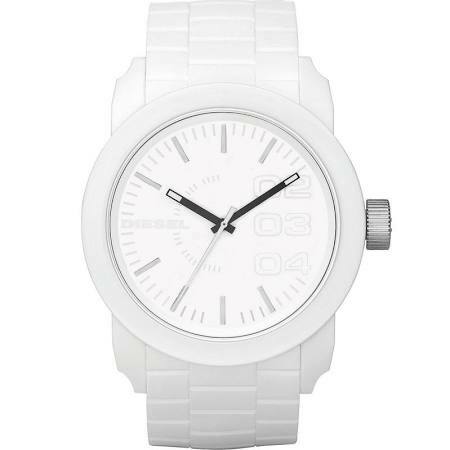 The watch features a white silicone strap that fastens with a buckle style clasp. 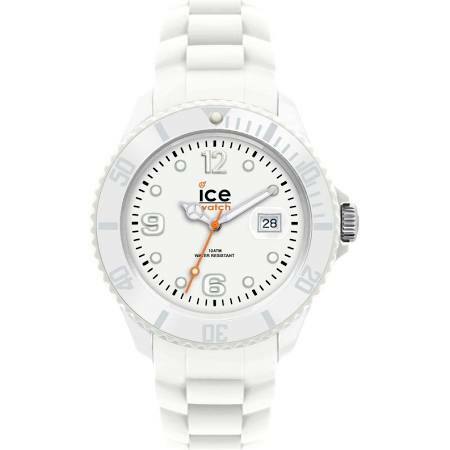 Here we have a big sized Ice watch in a stylish pure white design. It’s a larger ICE watch with a 44mm casing diameter and 14mm thickness. 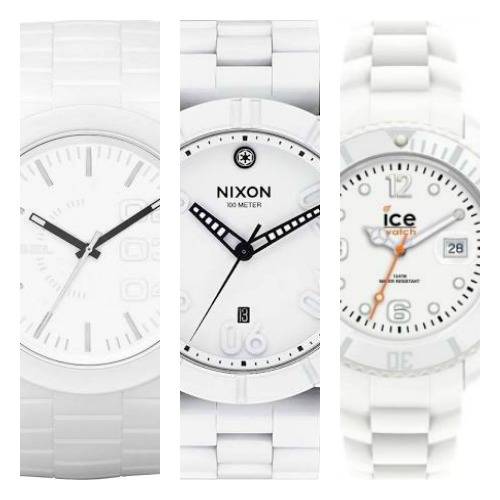 When it comes to white watches for men, ICE are a brand I instantly went looking for, they produce a range of watches in vibrant one colour designs. This model boasts a large high visibility display with the iconic orange second hand for a small dash of colour. The casing is made from a high grade Ice-ramic plastic and featues a 100m water reisstance rating plus rotating coin edged bezel with a luminous dot marker. The strap is made of a soft white silicone with the ICE logo include on the keeper. 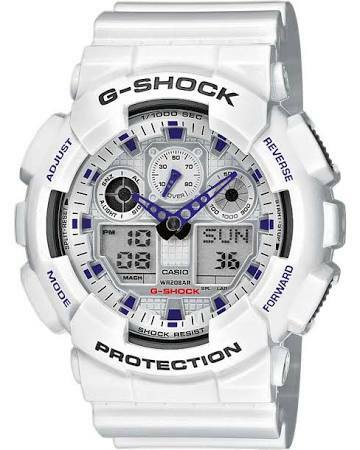 If you’re after white G-Shock watches for men then this next model might be just what you’re looking for. This is a high performance white G-Shock timepiece that’s powered by a reliable and accurate quartz movement and has a 200m water resistance rating. This dual display with both analogue and digital being shown is a fairly popular choice to go for. Like many G-Shock watches it features a variety of useful features. These include an auto-LED light, world time display, stopwatch, 5 daily alarms, snooze feature, speed display, automatic calendar, and more. If you’re looking for a high performance white watch then G-Shock is a pretty sensible choice. They do have a few designs in white worth checking out, this example was just to give you an idea of the brand. 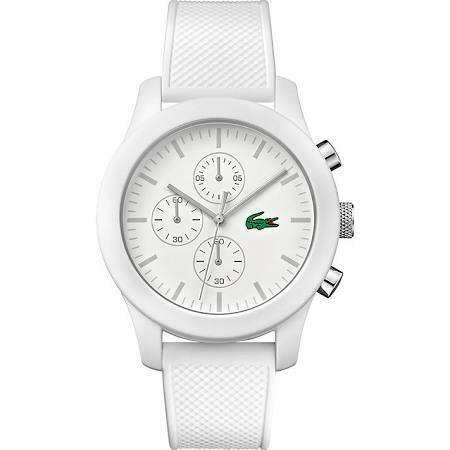 Next up in our list of the best mens white watches is this beautifully designed timepiece from Lacoste. The 12.12 is an all white watch with a chronograph dial. The casing is made of a white silicone wrapped stainless steel casing and is fitted with a Japanese quartz chronograph movement. I like the textured finiish of the white rubber strap too. To top it off the watch has a handy 50m water resistance rating. 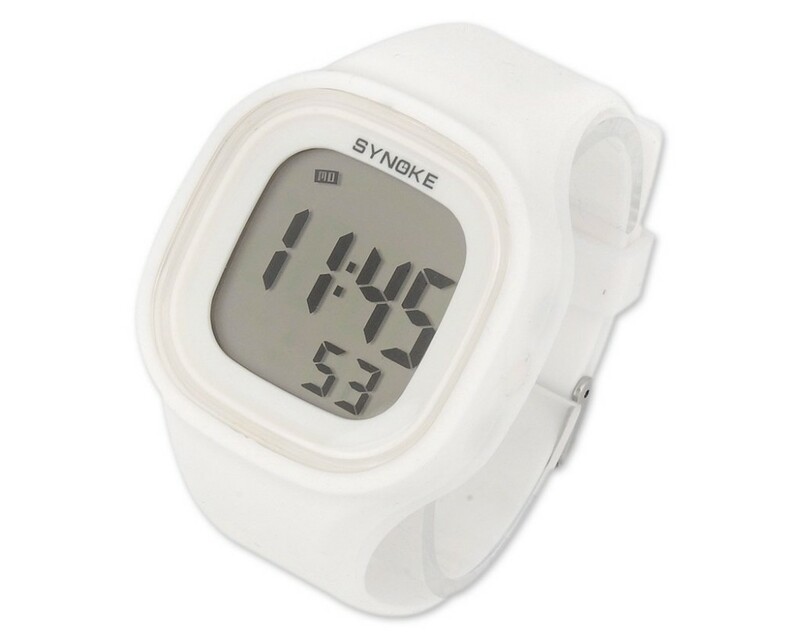 Here we have another popular white sports watch for men. 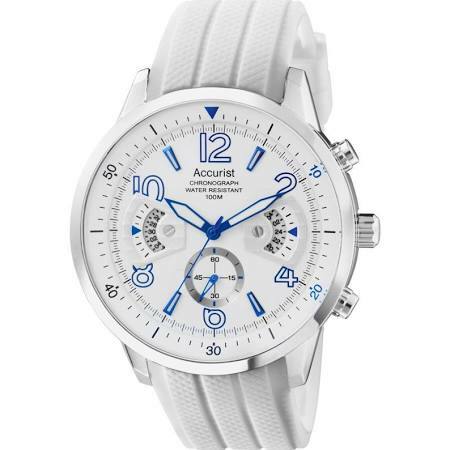 This is a chronograph timepiece from Accurist that features quite an interest dial design with semi-exposed chronograph dials and nice blue detailing. This men’s white watch is powered by a Japanese quartz chronograph movement and has a 100m water resistance rating. Again I like this textured white rubber strap that pairs up nicely with the casing. This is a very cheap white digital mens watch that’s best suited for people who are after an inexpensive run around watch. The watch features a easy to read digital display with functions that include an alarm, chronograph, calendar, and light. Keep in mind that this is a large white watch with a casing diameter of approximately 45mm. 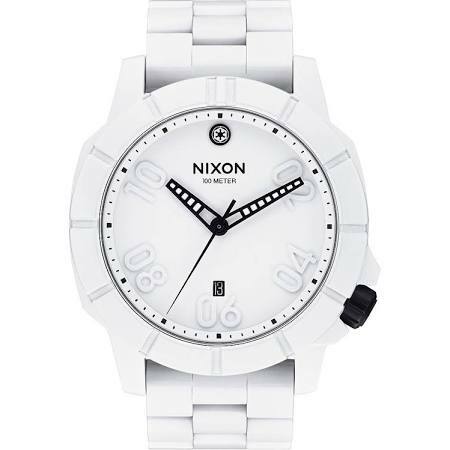 Up next in our list of popular white watches for men is this beautiful timepiece from Nixon. It’s a tough and durable watch that was released as part of the Star Wars special edition collection. This model was inspired by the iconic all white colour of the storm trooper with black detailing. The watch achieves this white finish using Cerakote coating. This is a superior coating for wear resistance that will naturally wear to expose the individual character of your watch. This men’s white watch from Nixon is powered by a reliable quartz movement and has a 100m water resistance rating. This is a mens white Swiss watch with a 35mm casing diameter making it suitable for both men and women. 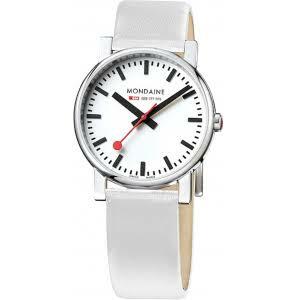 Mondaine are a leading designer of affordable Swiss watches. Thier iconic railway watch it designed to look like the Swiss Railway clocks. This white watch is powered by a Swiss quartz movement and features a white genuine leather strap. 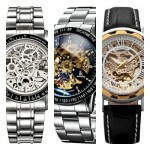 Last up in this list of the most popular white watches for men is this designer Diesel timepiece. It features a large analogue display with a sleek and stylish design. The watch is made out of a combination of plastic.resin and rubber. The white watch strap is made of silicone with a link pattern design and fastens with a buckle style clasp. Powering the watch is a reliable quartz movement, this white timepiece has a 50m water resistance rating. As always I’d like to say thanks for taking the time to read through today’s list of the best white watches for men. 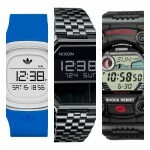 I think I managed to include a nice range of styles and designs like the popular G-Shock white watches as well as the special edition Nixon Star Wars watch. What was your favourite white watch featured in today’s list? Comment below and let me know.